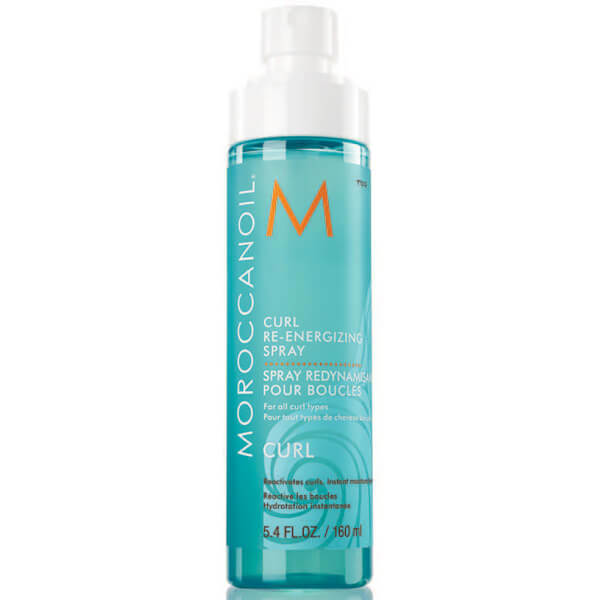 Restore shape and shine with Moroccanoil's Curl Re-Energizing Spray; a weightless, reactivating mist that allows you to create salon-worthy results from home. Harnessing the powers of Argan Oil, Green tea and Aloe Leaf Juice, the revitalising spray nourishes and smoothens strands, whilst delivering instant body and bounce for perfectly defined curls and a frizz-free finish. 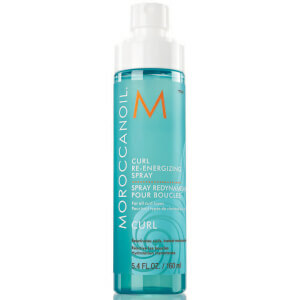 Ideal for reactivating slept-on curls, or for boosting hair before a night out. Aqua/Water/Eau, Argania Spinosa (Argan) Kernel Oil, Aloe Barbadensis Leaf Juice, Camellia Sinensis (Green Tea) Leaf Extract, Geranium Maculatum Extract, Lavandula Angustifolia (Lavender) Flower Extract, Peg-40 Castor Oil, Guar Hydroxypropyltrimonium Chloride, Peg-12 Dimethicone, Panthenol, Polyquaternium-44, Xylitol, Cyclohexasiloxane, Styrene/Vp Copolymer, Peg-12, Amodimethicone, Polyquaternium-55, Cetrimonium Chloride, Parfum/Fragrance, Trideceth-12, Glycerin, Cyclopentasiloxane, Olealkonium Chloride, Caprylyl Glycol, Sodium Dodoxynol-40 Sulfate, Citric Acid, Ethylhexylglycerin, Phenoxyethanol, Sorbic Acid, Benzyl Alcohol.